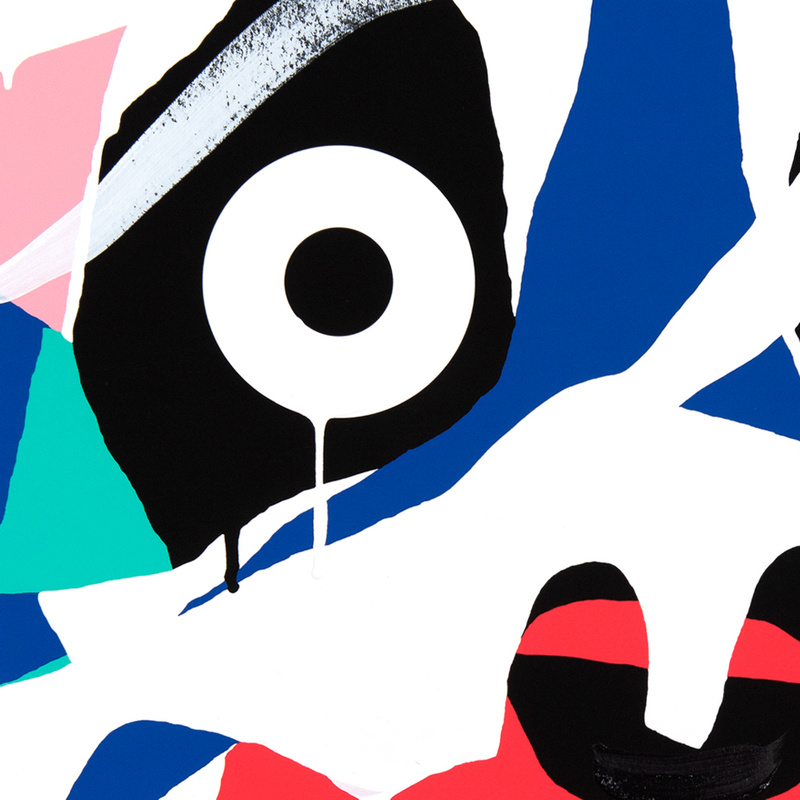 Joining us for his second RUN, we welcome back Australian artist Mysterious Al, as he returns with Blue Mask, available in an extremely limited standard edition, as well as 15 individually unique hand-painted multiples. With each one uniquely done by Mysterious Al no two are alike. Read on as Mysterious Al gives us the story behind his latest edition and much more . . . 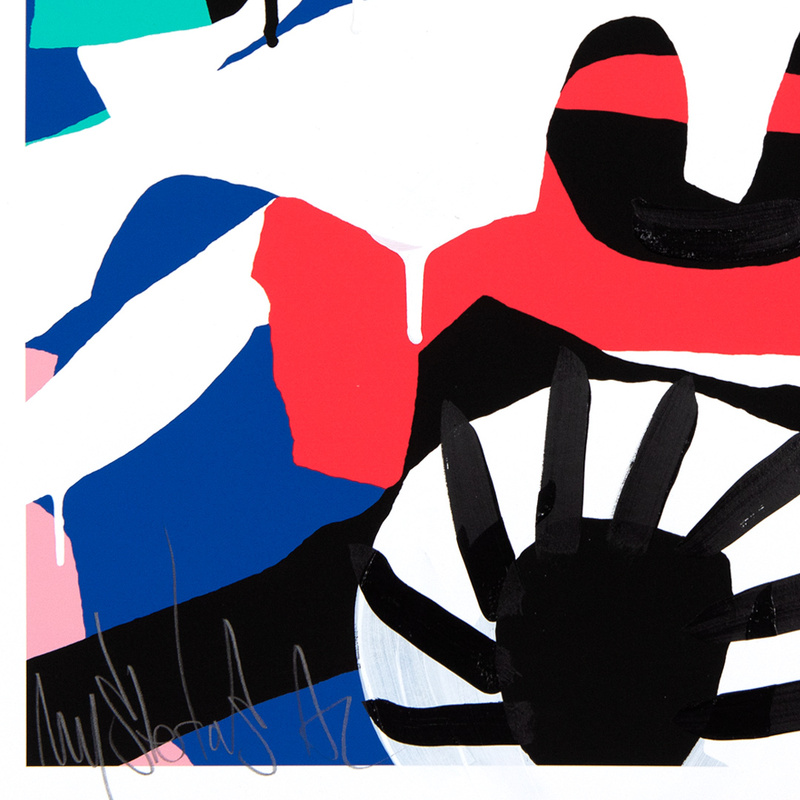 This RUN comes signed, numbered and with a Certificate of Authenticity from Mysterious Al and 1xRUN. 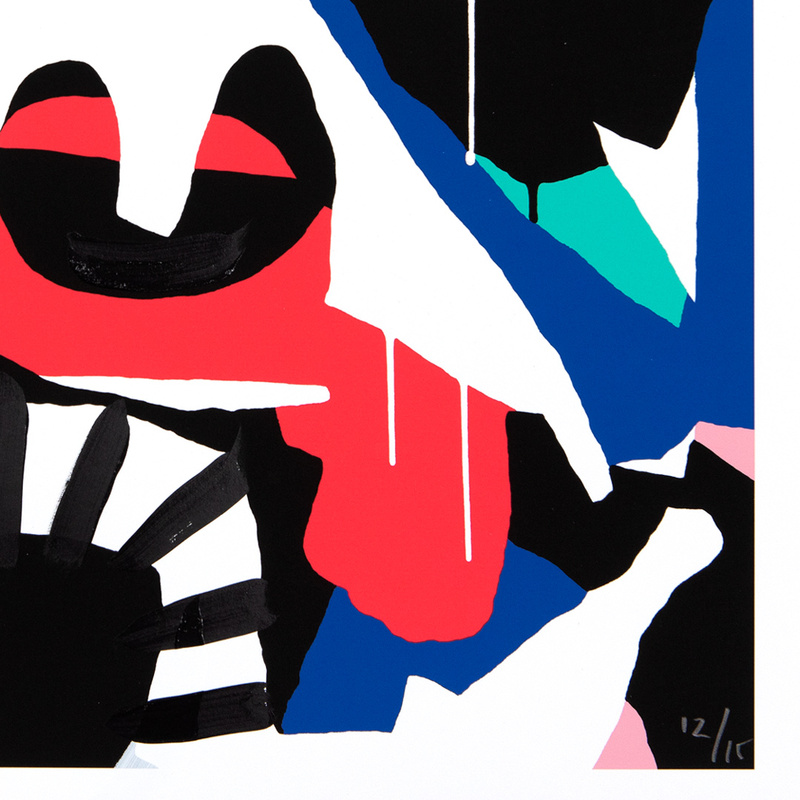 Mysterious Al is a contemporary artist from London, UK. 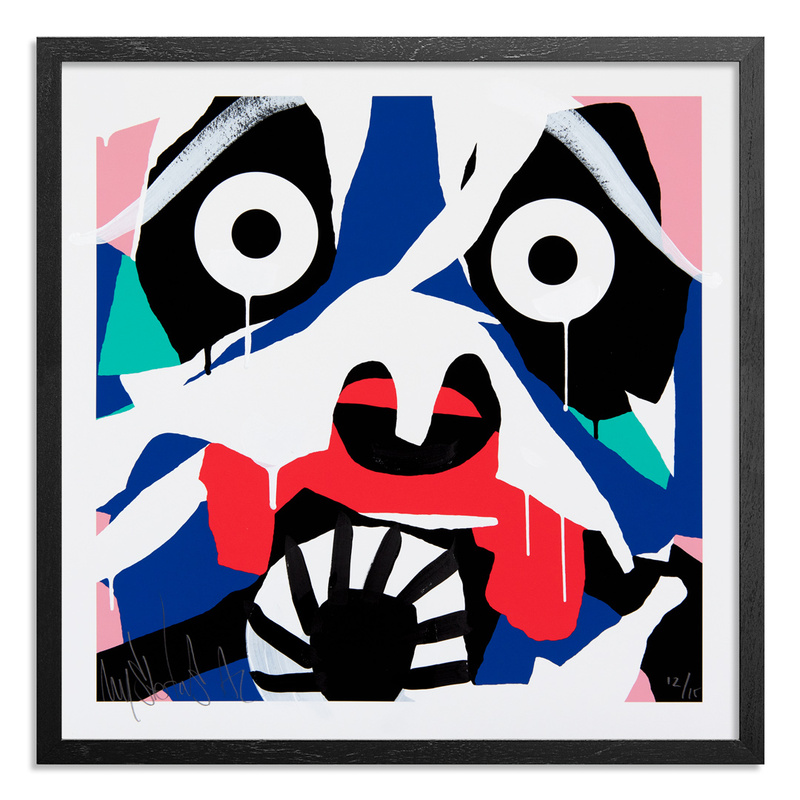 He rose to fame in the early 2000’s through the explosion of street art, developing a notoriety for his wall paintings, paste-ups and illegal street installations alongside his contemporaries, the Finders Keepers Crew. Al’s work has changed dramatically from his early beginnings. 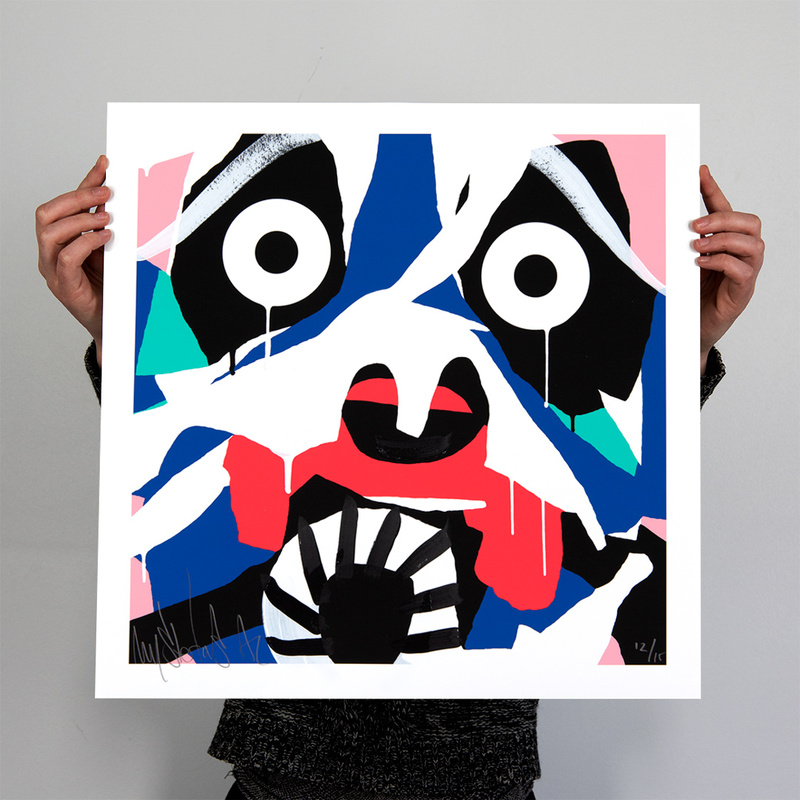 His latest paintings are based on ancient tribal masks, reimagined in wild contemporary colours. His work is striking and at first glance intimidating. But look closer and you’ll see fragility, vulnerability and pieces that poke fun at man’s psyche and fragile sense of self. Find more by Mysterious Al at mysteriousal.com.